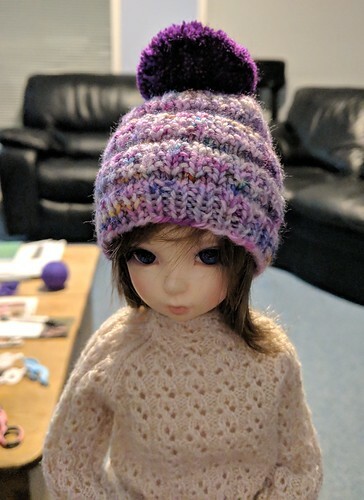 onebluestocking: : megs new hats. i hat a little bit of yarn left over from my lost and wandering socks. 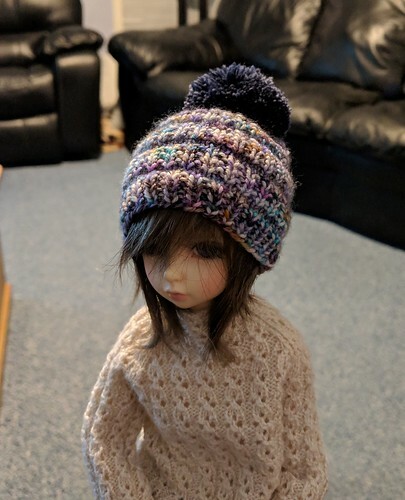 i figured there was just enough to make a couple of hats for the girls. turns out i had enough to make 4 with less than 30cm of yarn left over when i was done! they made cute beanies but meg insisted she want BIG pompoms on them. we went through the stash and she chose 4 colors to coordinate with the hats. 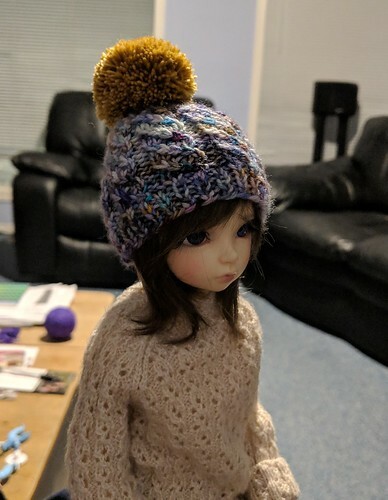 while watching tv i managed to make and trim down the first three, and she happily modeled the hats for me as i finished. it was actually the perfect activity to do while huge flakes of snow fell steadily outside. i still have one more pom to make. but i ran out of time.